Queer Eye for the Straight Guy is getting a revival on Netflix. 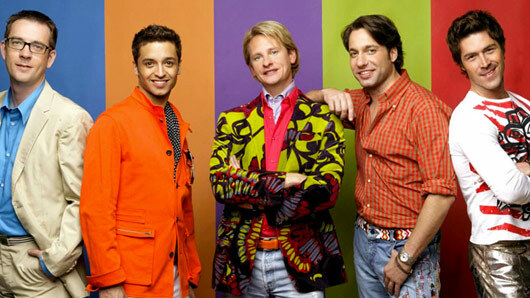 The US reality TV series saw a team of fabulous stylists try to correct the fashion disasters of straight men between 2003-07. It was a big success, winning an Emmy Award for Outstanding Reality Program in 2004 and spawning 13 international versions, including a series set in the UK. Entertainment Weekly reports that the new revival is pitched as follows: “In a time when America stands divided and the future seems uncertain, a team of five brave men will try to bring us closer together with laughter, heart, and just the right amount of moisturiser. Netflix has commissioned eight episodes of the revival, which will be alongside Queer Eye creator David Collins. Unfortunately, we’ll be without the original dream team of stylists, as Ted Allen, Kyan Douglas, Thom Filicia, Carson Kressley and Jai Rodriguez will not be returning to make over the desperate. They may, however, be involved in some capacity.